Maybelline Touch of Spice Review… ft. tiny chunks? This lipstick was so hard to find. 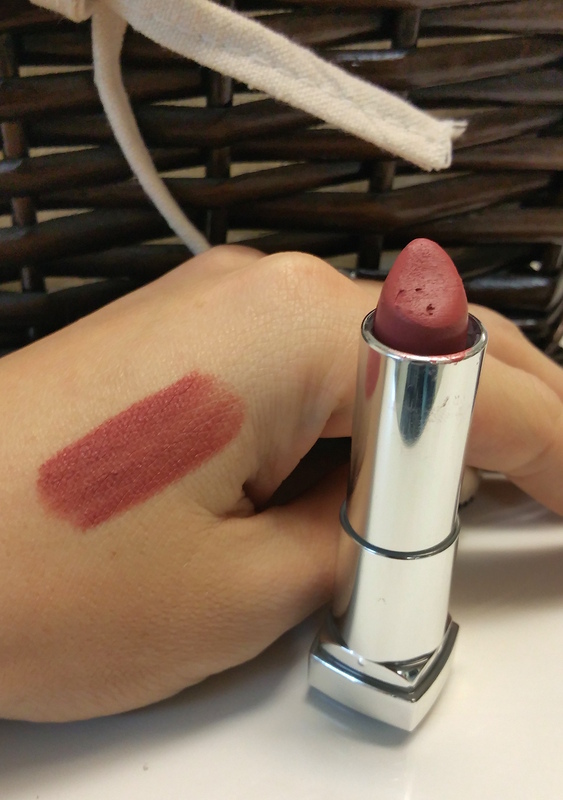 I felt like a drugstore explorer trying to find the Maybelline Creamy Matte lipsticks and this shade in particular. If I did find them, most of the time the product was ruined by grubby fingers. Touch of Spice was rumoured to be an almost perfect match for Mac’s Twig, which is probably my favourite lipstick on the planet. Mac lipsticks run about $18 in Canada. The packaging is mauve matte, and matches the packaging of the other Maybelline lipstick lines. The application is fantastic. 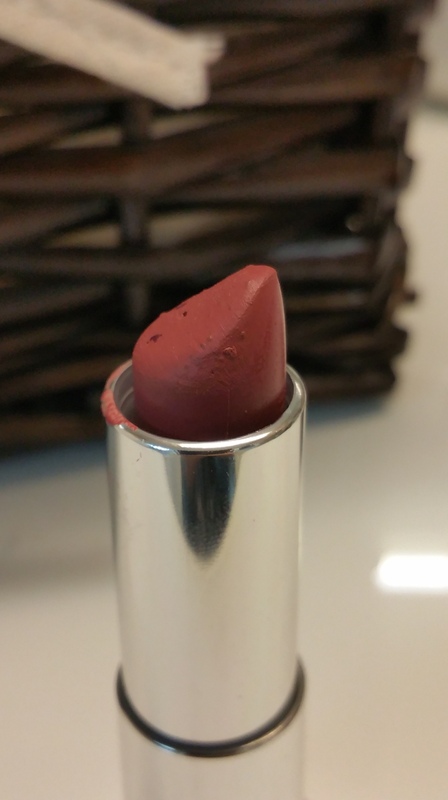 Very smooth, and the matte finish isn’t drying, there is little to no fragrance. I do have one co mplaint. It doesn’t stop me from wearing it but for some reason this lipstick has a strange formulation. After I had worn it a few times I noticed there was some weird chunks in it. I cleaned off the top thinking maybe it was some dry skin or it had been left open and gotten some dust particles on it. Nope… It is all throughout the product. It’s like when the lipstick was mixed and set at the factory it wasn’t mixed enough. It doesn’t affect the colour or application as you can see in the swatch, it just makes the product look strange. I wouldn’t call this an exact dupe for Twig but it is very similar, and if you are on a budget this is a great alternative. This lipstick is completely worth it, and I would repurchase more from this line if I could find it!